I used different papers from the Love Letter paper pad and arranged them in strips with width in ascending order from left to right. I wanted the papers to shine and so decided not to add much details on this one. For the sentiment, I used a sticker from the Echo Park Victoria Garden Collection and added some mulberry flowers to finish off the card. 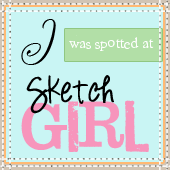 I hope you will find time to visit the Craft Zone blog and the Imaginations store. Hope you feel better soooooooooooon. 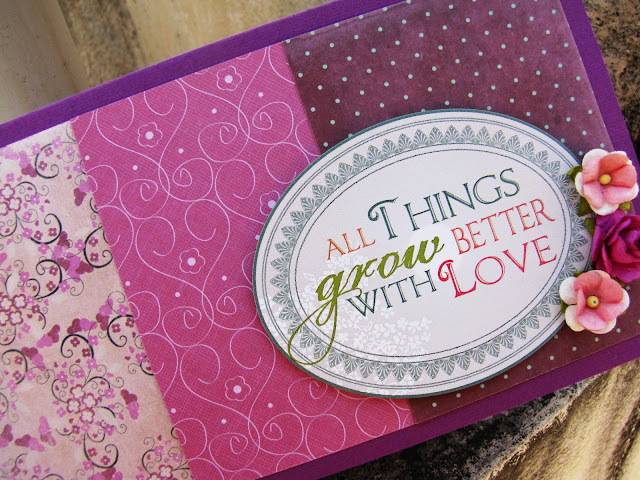 the colors are sooooo gorgeous ..
super duper awesome card ..
took my heart away <3 <3 <3..
That's a gr8 creation.... Simple, subtle yet GORGEOUS!!!! Such a pretty card Ujjwal! Love the mix of patterns. This is so beautiful Ujjwal. Wish you well. No mojo and you made this stunning card? :P I love it! Congrats on the guest gig, Ujjwal!